Do you bring your instrument to a festival but feel shy about taking it out and actually playing with other people? You are not alone, even if it sometimes feels that way! For years I've been helping closet pickers start jamming, playing real bluegrass at slow speeds, and learning the ear skills and ensemble skills that are hard to pick up on your own. My approach has worked for so many, I am now certifying Wernick Method instructors to teach bluegrass jamming in communities nationwide. The Stelling Banjo Scholarship to Pete (“Dr. Banjo”) Wernick’s Advanced Banjo Camp has been awarded to 26 year-old multi-instrumentalist Jacob Panic, of Baltimore, Maryland. Already a talented banjo player, singer, and songwriter, Jacob aspires to a career in bluegrass music and has recorded an album of original songs on which he plays all the instruments. Reflecting on the award, Jacob says, "I'm humbled and grateful to Pete and Stelling. Pete Wernick is one of my banjo heroes." Pete Wernick announces the availability of two scholarships to his 2013 Advanced Banjo Camp, January 21-26 in Boulder, Colorado. The camp is geared to players in performing bands and focuses on tone, timing, “believability”, creativity, band dynamics, and performance. The scholarships are intended for pickers who would need financial help to attend the camp. Niwot, CO -- Pete (Dr. 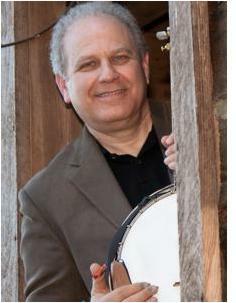 Banjo) Wernick's Bluegrass Jam Camp Nov. 9-11 (for pickers of all instruments) in Boulder is right around the corner. This camp is geared to the needs of novice pickers as well as those of experienced jammers. There's no camp like it anywhere! You will be jamming the first morning! The original "banjo camp", the first event billed as such, was in 1984. Since then, renowned banjo player and teacher, Pete "Dr. Banjo" Wernick has conducted 86 banjo camps, teaching over 1500 students from almost every state and many foreign countries. January, 2012 he will extend this string at the Boulder Inn in Boulder, Colorado. Each of the three "full-immersion" weeks is geared to different experience levels. For complete information, visit www.DrBanjo.com.